Your medical staffing business acts as an important connection between doctors, nurses, and other professionals in the medical field and hospitals and other medical treatment facilities. You help hospitals and other employers find the qualified medical staff they need to fill open positions and keep business running smoothly while also helping qualified medical professionals locate the best jobs. At Silver Scope Web Design, we have experience working with staffing companies in the healthcare and other industries to develop medical staffing websites that help them succeed in their goals. 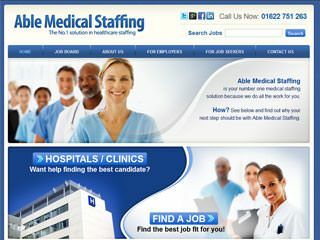 Our medical staffing website design services can develop a custom website that will promote and advertise your services to hospitals, medical facilities, and other potential employers as well as market your business to doctors, nurses, and other medical professionals. To learn more about our medical staffing website design services, please contact our web design company directly or request a free web design quote for your business. At Silver Scope Web Design, we have worked with a variety of companies including medical staffing companies and other job placement companies. 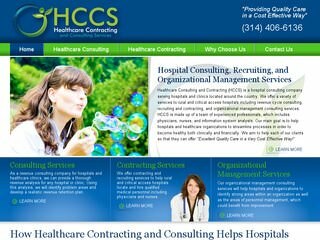 Because of this, we understand the medical staffing industry and your unique needs for your new website. Therefore, we will work with your company during your medical staffing website design project in order to develop an effective website that helps to market your company while allowing you to carry out operations more efficiently. For example, we understand that most medical staffing websites must really be two separate, but integrated websites that can work together and complement each other. 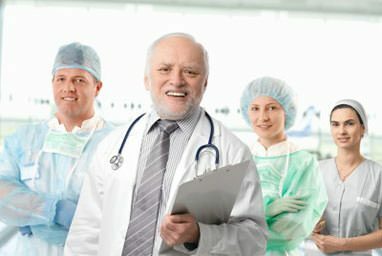 Therefore, for most of our medical staffing website design project, we will include a website for job seekers, which can allow them to submit resumes, review job listings, and learn about your company as well as a website for employers that allows them to submit or publish new job listings and review potential job seekers if you choose. A properly designed and highly functional medical staffing website will help strengthen your company's role as a crucial link between doctors, nurses, or medical personnel and employers or hospitals while offering the necessary functionally required to keep your business running smoothly. If you would like to learn more about our medical staffing website design services and how these available web design services can help you to develop the website that gives your company the online presence and functionality that it needs, please contact us today. You can also learn more about our healthcare website design, medical website design, and job placement website design services online.